THE REPUBLIC OF INDIA is the most reckless political experiment in human history. Never before was a single nation constructed out of so many diverse and disparate parts. Partitioned at birth on the basis of religion, India now has almost as many Muslims as the Muslim homeland of Pakistan. It has more Christians than Australia, more Buddhists than Tibet, more Sikhs, Jains, and Parsis than any country in the world. The Hindus, nominally the religious “majority,” are divided into tens of thousands of endogamous castes and sects. Meanwhile, the extraordinary linguistic diversity of India is represented on the country’s currency notes, with the denomination—50 rupees, 10 rupees, and so on—written in seventeen languages, each with a distinct script. This is an unnatural nation, as well as an unlikely democracy. Never before was a population so poor and so illiterate asked to vote freely to choose who would govern it. Unlike in the West, where the franchise was granted in stages, the Indian constitution immediately gave the vote to every adult regardless of caste, class, education, or gender. This was an act of faith, greeted with widespread disbelief: writing of the first general elections, held in 1952, a prominent Indian editor observed that they were the “biggest gamble in history.” It was a gamble that seems to have paid off—there have been fourteen general elections since, each the greatest democratic exercise in human history (with some four hundred million voting in the last iteration in 2009), as well as regular elections in states more populous than France or Germany. Owing to its counter-intuitive, even miraculous nature, the historical and ideological origins of the Indian Revolution have not been systematically studied by scholars. A study by political scientists of more than one hundred countries found that India alone, of the world’s functioning democracies, did not fit the conventional democratic parameters of cultural homogeneity and economic prosperity—it was, in this respect, an outlier. Where social science cannot account for this puzzle, historians (chiefly but not exclusively British) seek to explain it in terms of a bequest, willed or accidental, from the previous rulers of the country. India is now democratic, it is said, because the British were modern, open-minded colonialists, unlike the French and the Dutch and the Portuguese and (especially) the Belgians. The problem with this argument is factual as well as counter-factual. To take the latter objection first: if the British promoted democratic values and institutions, why has democracy failed to take root in other of its colonies in Africa and Asia (not least in Pakistan, which has a similar legal and institutional history to India’s)? The truth is that Indians were prepared for democracy by the patient hard work of several generations of homegrown reformers and activists. The Indian National Congress—founded in 1885, some years before the British Labour Party—worked hard, even heroically, to bring Indians of all castes, religions, and ethnicities into its ambit. The Congress, as the historian Mukul Kesavan has remarked, was a “Noah’s Ark of nationalism,” which sought to bring every species of Indian on board. Its successes were significant but not total—while it remained the most influential party until independence in 1947, its hegemony was challenged by parties representing the Muslim interest, the orthodox Hindu interest, and the lower-caste interest, as well as by parties run on more strictly ideological lines, such as the Indian Liberal Party and the Communist Party of India (which was founded four years after the Bolshevik Revolution). These political parties pressed hard for concessions from the British. Indians were allowed, slowly and grudgingly, to participate in municipal government, to be elected to legislative councils that were still dominated by non-elected Europeans, and finally, in 1937, to achieve a measure of self-government by running ministries in the different provinces of the Raj (albeit under the overall control of a British governor). Over a period of sixty years, these parties—run, staffed, and led by Indians—cultivated habits of argument and deliberation on matters of public policy that were essential training for political independence as well as for full-fledged democracy. THE PRE-HISTORY OF Indian democracy featured individuals as well as institutions, the most consequential of whom lived and worked in Western India. Between 1875 and 1910, the city of Poona (now Puné) was in the vanguard of social reform. Gifted and influential activists such as Jotiba Phule, Tarabai Shinde, Gopal Krishna Gokhale, and Bal Gangadhar Tilak campaigned vigorously for, among other things, the abolition of caste prejudice, equal rights for women, the promotion of Hindu-Muslim harmony, the spread of education among the poor, and complete independence from British tutelage. In 1915, Mohandas K. Gandhi returned to India from South Africa. By the end of the decade he had emerged as the major leader of the national movement. Outside India, Gandhi is revered for pioneering non-violent techniques of social protest, known as satyagraha—methods that have shaped the civil rights struggle in the United States, the anti-communist resistance in Eastern Europe, and, most recently, movements for democracy in the Middle East, where Gandhi’s name is regularly invoked and handbooks distilling his ideas on satyagraha are widely distributed. But Gandhi was as much a fighter against discrimination within as against oppression from without. He made the abolition of untouchability—which was to Indian society what racial segregation was to the United States, namely, a system of at times barbaric discrimination—a condition for the achievement of political freedom. Born in an upper-caste home, Gandhi attacked untouchability from above. But his work was complemented and deepened by the attack on the caste system from below, led by the visionary lawyer and economist B.R. Ambedkar. The thirteenth child of an impecunious soldier, and an untouchable himself, Ambedkar overcame his disadvantages to take doctoral degrees at Columbia and the London School of Economics, as well as qualifying as a lawyer in London, before returning to India to work with and for his people. Ambedkar and Gandhi frequently clashed. Ambedkar wished to take his fellows out of the Hindu fold, while Gandhi hoped to save Hinduism by ridding it of untouchability. The younger man thought that Gandhi moved too slowly—as opposed to the Hindu orthodoxy, which saw Gandhi as a dangerous radical who defied scriptural sanctions in favor of abolishing caste hierarchies. Ideologues have carried these old rivalries into the present, with the demonization of Gandhi now common among politicians who presume to speak in Ambedkar’s name. From the viewpoint of Indian history, however, the two men were as much allies as rivals. Gandhi was the uppercaste leader who worked most tirelessly against untouchability; Ambedkar was the greatest of all lower-caste reformers. Their work complemented one another’s. Gandhi certainly recognized this, as the positive and even admiring references to Ambedkar in his Collected Works show. When India became free in 1947, Gandhi urged the first prime minister, Jawaharlal Nehru, to make Ambedkar his law minister, even though Ambedkar had been a lifelong rival of their Congress Party, choosing to serve on the Viceroy’s Executive Council when the Congressmen were in jail in the early 1940s. It was an act of extraordinary sagacity. A young nation needed its best talents to work together regardless of party affiliation. Gandhi also made major contributions to the emancipation of women. Here, too, he was pressed to do so by those younger and more radical than he was—notably Kamaladevi Chattopadhyay, who has strong claims to being regarded as the greatest Indian woman of modern times. Married off to a man chosen by her family, she was widowed early, and then married a left-wing actor from another part of India. She joined the freedom movement, persuading Gandhi to allow women to court arrest during the Salt March and after. After coming out of jail, Chattopadhyay became active in trade union work, and traveled to the United States, where she explained the relevance of civil disobedience to black activists. After independence and partition, Chattopadhyay supervised the resettlement of refugees; and later she set up an all-India network of artisanal cooperatives, and established a national crafts museum as well as a national academy for music and dance. THE GANDHIAN movement worked simultaneously for political freedom and social reform. Between 1915 and 1947, it nurtured the ideas that were later to be embodied in the Indian constitution—a multi-party political system based on adult franchise, a secular state, a multi-lingual polity, equal rights for women, and special privileges for disadvantaged sections such as Dalits (the erstwhile untouchables) and tribals. In this movement the Mahatma was himself the most influential—and interesting—figure, but his work could scarcely have had the impact it did were it not for the very many other democratically minded reformers who worked with him, for him, and against him. And before him, too. As the distinguished British historian C.A. Bayly shows in his new book, Indians had been debating the path of democratic reform for at least a century before Gandhi returned home from South Africa. The first Indian liberals were deeply interested in the world beyond. They had read Locke, Mill, and Bentham, and acquainted themselves with struggles for citizenship in Europe and Latin America. This ability to link the homeland to Europe (and beyond) was manifest in the first great Indian liberal, the Bengali polymath and reformer Rammohan Roy. Born in 1772, Roy was steeped in classical Indian thought, and also made himself acquainted with intellectual currents emanating from Europe. He published books in Persian, Bengali, and English, ran newspapers in several languages, and started schools and societies promoting a syncretic and rationalist blending of Eastern and Western ideas. Roy’s “idea of political progress was inherently international,” Bayly observes. “Delighted by the overthrow of the Bourbons in France,” Roy “proposed a kind of European parliament, anticipating the early cosmopolitanism of Giuseppe Mazzini’s Giovane Europa by some years.” This Bengali also “argued tirelessly for the reform of the British Parliament,” urging an extension of the suffrage so as to allow a fuller representation to the “mighty people of England.” In his newspaper, Roy also wrote of the deficiencies of British rule in Ireland, as in the excesses of Protestant landlords and the arrogance of the occupying power toward the Catholic peasantry. Roy was not bold enough to advocate self-government for India, but he did think that representatives of the colonies should sit in the British Parliament. He argued for the freedom of the press within India, and for the right to report fearlessly on the misdeeds of the East India Company. He asked for courts to be freed from the control of the Company. He ran newspapers, organized meeting clubs, and urged his fellow Hindus to treat their women with greater respect. Bayly’s book has some interesting passages on early liberalism in Western India. We hear of a Parsi woman who, in 1848, staged a public protest in Bombay against domestic seclusion, leaving her house for the “fresh air” of Malabar Hill. This same lady was the first to use visiting cards in India, “symbols of individuality which breached, but also marked, the distinction between the domestic and the public.” Bayly writes of a Marathi social reformer named Bal Shastri Jambhekar, a close (if now forgotten) contemporary of Rammohan Roy, who argued for a free press, wrote frequently of the despotism in parts of India ruled by native chieftains, and campaigned against the trafficking of young girls in Bombay (a pernicious practice that continues to disfigure social life in India’s urbs prima). A VERY LARGE number of Bayly’s examples and exemplars come from Bengal, a province that (perhaps because Bengalis are excessively loquacious even by Indian standards) is disproportionately represented in the historiography of modern India. There is some fine detail on early Muslim liberals in Bombay and the United Provinces, but South India is left out altogether. Bayly acknowledges and apologizes for this omission; but by leaving out the South, he leaves out many distinctive voices—such as the campaigning journalists G. Subramania Iyer, G.A. Natesan, and K. Natarajan, the feminists Ammu Swaminadhan and Kamaladevi Chattopadhyay, the anti-caste radicals Iyothee Thass and Narayana Guru (who preceded Ambedkar), the rationalist and egalitarian E.V. Ramaswamy, and the theocentric liberals C. Rajagopalachari and V.S. Srinivasa Sastri. Many of their writings are now available in English. It is the legacy of these men and women that explains why the South today has greater gender and caste equality, less Hindu-Muslim tension, and more robust entrepreneurship than other parts of India. The index to my copy of Recovering Liberties has only three references to Gandhi; in fact the text mentions his name more often, but always fleetingly. Perhaps wisely, Bayly does not attempt to locate Gandhi in the framework of modern political thought. Was he a liberal, a socialist, or a conservative? Or one or the other at different periods in his life? His stress on moderation, dialogue, and progress “one step at a time,” his capacity for self-criticism, and his extolling of the “beauty of compromise” make Gandhi something of a liberal; his empathy with the poor and his exaltation of manual labor something of a socialist; his skepticism of the state and his strongly religious cast of mind, something of a conservative. So, too, was Jawaharlal Nehru, a figure who is here neglected even more than Mahatma Gandhi. Bayly, in common with other Western historians of India, has comparatively little interest in the history of the country after it became independent. This leads him to some strange judgments, as in the claim that “the Indian liberal tradition petered out in the 1950s.” Actually, it was in that decade that the institutions of liberal democracy—adult suffrage, multi-party democracy, an independent judiciary, secularism, and so on—were consolidated under a regime led, directed, and inspired by India’s first prime minister. Bayly should really have ended his book with an extensive assessment of that extraordinary leader. 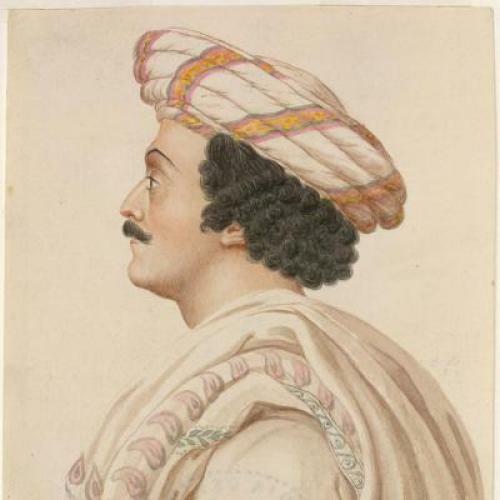 For if Rammohan Roy was India’s first great liberal, Jawaharlal Nehru was its last great modernist. THE SOCIOLOGIST André Béteille once remarked that the posthumous reputation of Jawaharlal Nehru inverted a famous Biblical injunction. In this case, the sins of successive generations have been retrospectively visited on the father. Nehru was succeeded as prime minister by Lal Bahadur Shastri, after whose premature death the Congress bosses elevated Indira Gandhi in the mistaken belief that they could manipulate her. What happened instead was that Indira Gandhi became a populist demagogue, who made the Congress Party into an extension of herself. The political career of Nehru’s daughter was marked by the personalization of institutions, and the cultivation of a culture of deference and sycophancy—a process furthered by her son Rajiv Gandhi and more recently by his wife, Sonia Gandhi. In this way they all violated the spirit of Nehru himself, a thoroughgoing democrat who would have deplored the creation of a political dynasty in his name. Béteille himself may be the last Nehruvian still standing. Raised in Calcutta of mixed French-Bengali parentage, he spent forty years teaching sociology at the Delhi School of Economics. While admired in academic circles in the West, he is not nearly as well-known as, say, his compatriot Amartya Sen—which is a pity, for he matches Sen in the range of his learning and the judicious sobriety of his arguments, and is deeply rooted in Indian society and intellectual life. Since the 1970s, the Indian branch of the Oxford University Press has published a steady stream of books by Béteille. Some of their titles give a clue to the sweep of his work: Caste, Class and Power; Studies in Agrarian Social Structure; The Idea of Natural Inequality and Other Essays; Essays in Comparative Sociology; The Backward Classes in Contemporary India; Antinomies of Society; Sociology and Ideology. Taken together, these books provide a wide-ranging assessment of India’s heroically ambitious and hence necessarily flawed compact with nationhood and democracy. Béteille’s latest book, Democracy and its Institutions, provides a kind of post-history of the Indian constitution, just as Bayly’s book sought to outline a pre-history to it. The counterpoint is thematic as well as chronological, with the sociologist focusing on institutions rather than—as the historian does—on individuals. The institutions Béteille writes about include Parliament, the Supreme Court, political parties, and universities. At once a cause and consequence of this dysfunction is the breakdown of trust between government and opposition. The two major parties, the Congress and the Bharatiya Janata Party (BJP), detest one another. Accusations of corruption and lack of patriotism are thrown around all the time. Laws proposed by the government are rarely discussed with any depth in Parliament, the opposition seeking rather to shout down the proposal or render it infructuous by a walk-out. Courts are not a popular or representative institution in the same sense as the legislature, but they play a crucial role in India nonetheless. For democracy, as Béteille writes, “rests on a delicate balance between two principles which may be called the rule of numbers and the rule of law.” The courts, by protecting the citizens from arbitrary action by the state and its functionaries, or from attempts by Parliament to pass laws that violate the spirit of the constitution, seek to ensure “that the rule of law is not overwhelmed by the weight of numbers.” Over the years, many Indians have come to see in the country’s Supreme Court a last bastion of constitutionalism, the one place where the excesses of politicians can be tamed and contained. Public intellectuals play a very significant role in a democracy. At their best they act as the conscience-keepers of the nation. But many of them, at least in India, are inclined to adopt vehement if not sensationalist modes of expression which tend to obscure instead of clarifying public issues. Even reckless attacks on the authorities do not generally entail significant costs in India at least in comparison with other countries such as China, Iran, or the Soviet Union during its ascendancy. This leads many public intellectuals to position themselves, almost as a matter of routine, against the authorities and on the side of that amorphous and indefinable body known as the people. As a result, the deeper roots of political failures remain unattended. In a constitutional democracy, state and civil society are, in principle, complementary. In India, however, the relationship is increasingly adversarial, with the opinion gaining ground that the state is (mostly) the oppressor and civil society (always) the redeemer. In classical liberalism, civil society activism is designed to protect individual citizens from the excessive use of power by the state. In India, by contrast, it is more likely to be used to demand a share of the state’s resources for specific groups or communities. Hence the ever increasing pressure to expand programs of affirmative action, by creating fresh quotas in schools, colleges, courts, offices, and factories for minorities, women, and backward castes. Hence also the proliferation of civil society groups speaking (or presuming to speak) for the poor, who demand amendments to the constitution making the Right to Work, the Right to Food, the Right to Education, the Right to Housing, and so on, mandatory and enforceable by law. If one spends any time in a university department, one is likely to hear from its head that the rights of his department are being disregarded by the vice-chancellor to the advantage of some other department headed, presumably, by a crony. One is likely to hear from junior members of the faculty that their rights in turn are being disregarded by the aggrieved head of department in the allocation of teaching duties, or research funds, or both. Finally, no one can outdo the leaders of students’ unions in their indignation at the violation of their rights by the authorities. Protests, demonstrations, and rallies by unions of students, teachers, and others provide regular opportunities for expanding and refining the vocabulary of rights. In this respect, the university is a microcosm of the nation. B.R. Ambedkar had hoped that with independence, there would be no need for citizens to resort to civil disobedience to press their demands. Satyagraha in the Gandhian style might have been necessary in a colonial context, but now, with freedom and the enactment of the constitution, surely all disputes can be settled by Parliament, the executive, or the courts—or so one would have thought. As it happened, however, street protests have continued to play a very important role in Indian politics. Fasts, strikes, boycotts, and sit-ins are organized by every conceivable group for every conceivable demand. Speaking to the assembly that drafted the country’s constitution, Ambedkar remarked that “democracy in India is only a top-dressing on an Indian soil, which is essentially undemocratic.” When Ambedkar said this, he had principally the inequities of the caste system in mind. How could one build a nation of citizens in a society where so many were regarded by custom and scripture as less than human? Béteille broadens the argument: it is not just the lack of equality, but also the lack of impersonality, that is an obstacle to democracy. How does one build institutions when the obligations of caste, kin, and community play such a large and sometimes determining role in public life? As a constitutional democrat, Béteille is as critical of satyagraha as Ambedkar; as a sociologist, he is obliged to appreciate why it persists in independent India. For “in a political system in which the principal parties, whether in office or in opposition, have shown themselves to be venal and self-serving, it would be folly to close the door on civil disobedience.” It is another matter that contemporary Gandhians lack Gandhi’s civility toward his political opponents, his sense of restraint, his ability to distinguish between laws that are merely inconvenient and those that are seriously unjust, his readiness to call off an exercise of satyagraha if it had exhausted its energies or threatened to turn violent. IN A BOOK PUBLISHED in 2007, the year marking the sixtieth anniversary of Indian independence, I argued that while a democracy had to be founded by visionaries, it could be run in mid-career by mediocrities. Such was the case with India, and with the United States, for the distance between Mahatma Gandhi and Sonia Gandhi was no more, and no less, than the distance between George Washington and George W. Bush. Five years later, I see that this might have been an excessively sanguine judgment. The people who rule India today are worse than mediocrities. Forget idealism or vision, they are not even competent, being motivated rather by vanity, greed, or nepotism (or all of the above). “The state is impersonal; the Argentine can only conceive of personal relations,” wrote Borges. “Therefore, to him, robbing public funds is not a crime. I am noting a fact; I am not justifying or excusing it.” The causes of corruption in India are somewhat more sociological— not so much “personal” as “kin” and “community” and interest group. Public funds are diverted not to one’s friend or mistress, but to one’s nephew or caste-mate. But the effect is the same, namely, the undermining of institutions meant to serve society as a whole rather than a particular slice of it. Some institutions have stood apart from the trend. The Election Commission of India runs polls efficiently and fairly; the comptroller-and-auditorgeneral rigorously scrutinizes public spending; the Finance Commission allocates funds to states in a non-partisan manner. Unlike in neighboring Pakistan, Bangladesh, Nepal, and China, the armed forces have stayed scrupulously away from politics. Many (but by no means all) judges of the Supreme Court are competent and honest. On the whole, though, public institutions in India are defined more by corruption and incompetence than by transparency and accountability. The Gandhian period seems, in retrospect, an aberration. Inspired by the idealism and the spirit of self-sacrifice of the national movement, two or three generations of politicians, civil servants, and judges subordinated their personal ambitions (and kinship ties) to the impersonal goals of the institutions they had chosen to serve. As late as the 1960s, most cabinet ministers and all Supreme Court judges were, in a financial sense, incorruptible. But as the impulse animating the freedom struggle receded, the basic building blocks of the society reasserted themselves. Whether acting in their private or their public capacity, officials of the state would now privilege the interests of their family, caste, and community above those of the institution itself. As the state has grown more arbitrary and corrupt, there are some countervailing trends within society. The French sociologist Louis Dumont famously described Indians as “Homo Hierarchicus.” Certainly, no other civilization had such rigorously elaborated social divisions. The suppression of untouchables in traditional India was far more substantial than that of serfs in medieval Europe. The oppression of women was a constitutive feature of Hindu and Islamic traditions. Unlike Christianity, both encouraged polygamy; one refused to allow widows to re-marry, while the other proscribed women from appearing in public places (including in schools). Low castes and women are still discriminated against in India, particularly in the countryside, where hierarchies are more entrenched, and where physical violence against those seeking equal rights is less likely to be written up in newspapers or punished by the law. Yet the steady trend is toward greater social equality. Like the Indian Parliament, the Indian workplace is far more socially representative than it was fifty years ago. Civil servants, entrepreneurs, lawyers, and teachers come from all castes and both genders. As urbanization and industrialization proceed, the old discriminations will fade away further. Another solid achievement of modern India is its linguistic pluralism. Indians are free to speak, to learn, and to administer themselves in the language of their choice. The decision not to impose a single national language has saved the country from the civil strife that has bedeviled Pakistan and Sri Lanka. The Indian record on religious pluralism is more mixed. When Nehru was prime minister, his insistence on treating Muslims as equal citizens helped to heal the terrible wounds of partition. In the 1980s and 1990s, however, Hindu fundamentalism was on the ascendant, provoking a wave of religious riots. In the last decade communal tempers have cooled somewhat. The middle class is no longer so enamored with the idea of a “Hindu Pakistan,” while Indian Muslims have resolutely turned their backs on jihadism. Regular attempts by terrorists from across the border—as in Mumbai in December 2008—have failed to disturb the social peace. Sixty-four years after the British departed, the Republic of India remains a work in progress. The experiment has clearly not failed, nor has it emphatically succeeded. Home to the most elevating as well as the most depressing aspects of the human experience, it inspires—in this citizen at any rate—pride and embarrassment in equal measure. Ramachandra Guha is the author of India after Gandhi and Makers of Modern India. He lives in Bangalore. This article appeared in the July 12, 2012 issue of the magazine.